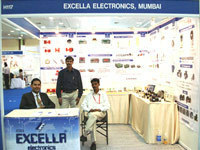 Praised for the manufacturing and supplying the wide spectrum of Electronic Instruments, we "Excella Electronics" started our operations in the year of 1966. 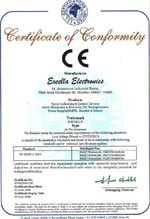 Following this best selection of the products, we are giving Electronic Motion Control Devices, Gear Boxes, and DC Isolating Amplifiers which have earned us ISO 9001:2000 certifications. These products are fabricated from excellent quality grade input parts at our ultra-modern production unit. To offer the specific requirements of our clients, we are offering these products in multiple configurations. These offered instruments are deeply appreciated in the market for their winning features like the trouble-free performance, simple to operate, long service life, less maintenance, sturdy construction and less energy expenditure. We are offering excellent quality products for our clients as we have crossed each and every offered product throughout stringent quality support tests. We are manufacturing these products with the aid of state-of-the-art machines and advancing technology. We hold appointed a team of well qualified and skilled professionals for the administration of our manufacturing process. We are also offering these products at reasonable price to our valued customers. Due to above aspects, we are able to serve the precise needs of various industries such as Textile, Pharmaceutical, Power Plants, Refinery and Atomic research centre. Under the meticulous support of our CEO Mr. Kedar Kothari, we have achieved tremendous achievement in this domain. 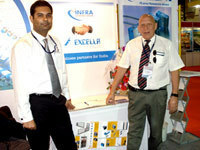 His comprehensive knowledge in this industry empowers us to attend our clients with best quality products. Our functioning area is installed up with enhanced machines and tools that aid us with the error-free processes of production and supplying the offered electronic instruments. Our top notch infrastructure is maintained by a group of professionals, who operate various up gradations on the systems, on a consistent basis. Manufacture supervisory, warehouse & packaging, quality control and sales & marketing are some of the functions that our infrastructure has been distributed into. Our advanced infrastructure facility is one of the notable reasons of our headliner in the business. 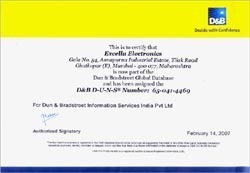 We have received D&B Certificate. For past 5 years, we have maintained a steady 40% growth each year along with adding over 400 customers in our clientele, belonging to different countries. 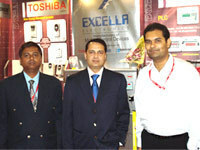 Intel trade Faire & Expositions Pvt. Ltd. Under the direction of our CEO Mr.Kedar Kothari, having wide industrial experience, we have created a dynamic team of professionals who assist us in acquiring rapid growth in the industry. 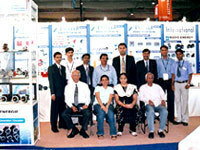 All our professionals have acquired technical expertise from USA, India and China. Our engineers, technicians, technocrats, quality controllers, marketers and other personnel work in coordination with each other to accomplish the received order, within the set time frame. Their diligent efforts continuously assist us in ensuring that only the defect-less electronic instruments and other products leave our premises, further ensuring utmost customer satisfaction. Our Organization is founded on the principles outlined in God’s word, which results in high employee retention, increased customer loyalty, and steadfast growth. Integrity is our guiding principal. We take great care of our suppliers. We set our pricing to be fair and reasonable. Customer satisfaction takes precedence over profit. We have a relentless drive to solve customer problems. We engineer our products for durability and repeatability. We strive to make it easy for people to do business with us. We challenge ourselves to be practical in all aspects of business. We deliver our products and services to customers on their timeline. We embrace change as the means to continuously improve and grow. We have thoughtfully developed an exciting environment for our employees. We are on a life- long journey of learning. Excella is in the business of solving Motion control problems by employing the best minds with the most innovative manufacturing facility and persistent attention to detail in the industry. We continually invest in the future and are committed to developing innovative products and manufacturing methods to lead the industry with breakthrough designs. We leverage best technology to drive sales, reducing our cost of doing business. We view problems as opportunities for invention. We have a unit of highly experienced and endured professionals. These experts are the vanguard of our organization. We are capable of provisioning the bulk order requirements of our clients in a favorable manner just because of theirs committed supports towards their job. We perform routine training sessions to our team members to retain their awareness with all the continuing business expansions. Further, to accomplish the business goals and objectives, these specialists are managing as a team with each other. 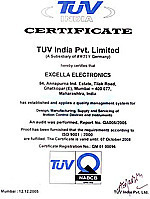 We are registered among the multiple esteemed and respectable company offering a cost effective collection of electronics instruments for our client base. Our products are highly admired by the consumers for their high performance, interrupts free working and longer life.